We have a few 2D fighting games now, so it's nice to see that CHOP [Official Site] is mixing things up a bit as the goal isn't just to have the highest kill count. Instead, you will need to escape the arena through a special portal. CHOP, it's a visceral gameplay where bloody killings meet ultra fast movements. Really accessible in its gameplay, it offers a real strategic dimension associated with a deep intense gameplay that will put your skills to the test ! It's a project I totally missed that was funded on Kickstarter, although it only finished funding back in April this year. 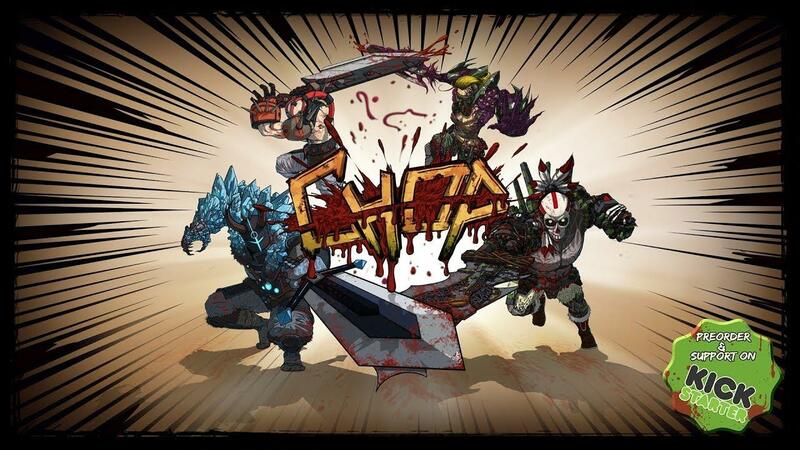 Glorious dismemberments, delightful executions, silly gory graphics all wrapped up in a comic book style. It does look like a serious amount of fun, although for me it's a bit of a shame it's only local multiplayer since I rarely have enough people over to enjoy a game like this. Don't want to put a downer on it obviously, since it does look great. Thankfully, it seems it has bots as well so you're able to play it alone. The demo isn't currently on Linux, so I've asked the developer if they're planning to let us try it too. It will release on Steam "Soon", no public date has been set yet although given what they developer has said it really should be quite soon.